Boasting six rotors for added stability and safety, a gimbal mount for the latest GoPro Hero 4, and an app for your mobile device that puts you in the directors chair, the HEXO+ should definitely be on your radar if you are in the market for a camera drone. From recreational use to professional aerial videography, the HEXO+ has some amazing features for everyone. Following a successful launch of their crowdfunding campaign last year, the developers showcased their hex-copter at ISPO Munich this past February. 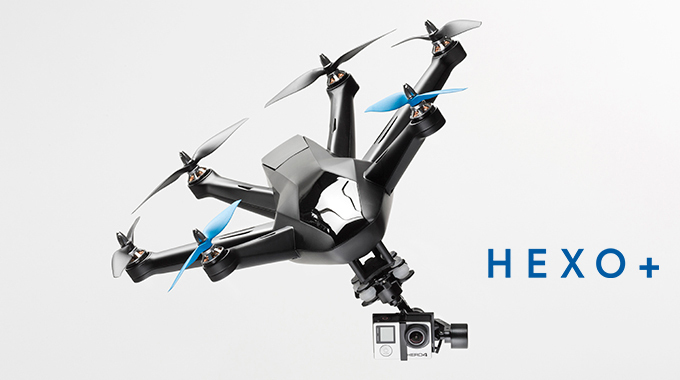 The latest design of the HEXO+ and its app secured the team the ISPO BRANDNEW AWARD, and earlier this year at CES in Las Vegas, the hex-copter was awarded Best Drone of CES by Videomaker, Best of CES by iPhone Life and Showstopper – Envisioneering Innovation and Design award. Crowdfunding websites, like Kickstarter, are a wonderful way to bring an idea or concept to life. 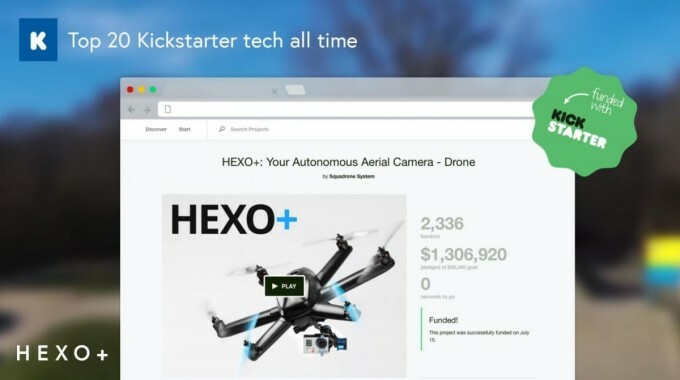 Over 2,300 individuals helped get the HEXO+ project off the ground last summer with over $1.3M of pre-orders, placing it in the top 20 most successful Kickstarter campaigns. HEXO+ is the brainchild of TimeLine Missions – an action sports and movie production company recognized for their series of films of expeditions to awe inspiring environments. Among the project co-founders are Antoine Level, Sylvain Montreuil, Christophe Baillon, Xavier de Le Rue, Matthieu Giraud, and Medhi Mugnier, who have formed Squadrone Systems to develop the HEXO+. Moving past the wrapper, let's dive right into the soul of HEXO+. At first glance, you'll notice there are six rotors rather than the traditional four. Not only is this a safety feature, but the added stability during less favorable weather conditions demands additional handling capabilities. This directly translates to more flight time, sharper video quality, and greatly reduced risk of damage to the drone and camera should something go awry. Additional blades also means more power – the drone can travel at over 40 mph and remain in the air for around 13 minutes. Additional batteries are available to extend flight time, can be replaced in seconds, and take about an hour and a half to recharge. Multiple batteries can be recharged simultaneously. There are some bold features that further perpetuates the notion that the HEXO+ belongs in a class along side other professional-grade camera drones, including the stabilized gimbal mount which grants the director more freedom of choosing what device they wish to attach to the drone. There have been some drones coming into the market at a comparable price-point, but include a built-in camera. While this may be a great option for simplicity, the avid photographer and/or videographer is generally much more demanding. Sure, your smartphone camera will shoot 1080p HD video, however, due to the size of the sensor used, such devices will be greatly limited by comparison when it comes to overall quality, sharpness, and field of depth. The fact that after a few years, you can opt to upgrade your camera of choice and mount it to the HEXO+ adds further value to the overall investment. Additionally, if you are looking to fly the drone manually, albeit for fun or production requirements, simply attach one of the supported receivers, appropriately paired with the RC controller, and you're ready to take off. The entire system is guided via GPS while you set up each scene through an intuitive app (available for iOS and Android). HEXO+ follows and frames you without a remote control, leash, or bracelet, and is able to reach distances of 200 feet from the subject. Whether you want a complex series of angled shots, or something more mellow, the sky is truly the limit. Squadrone System has also ensured that sharing footage is ridiculously simple. 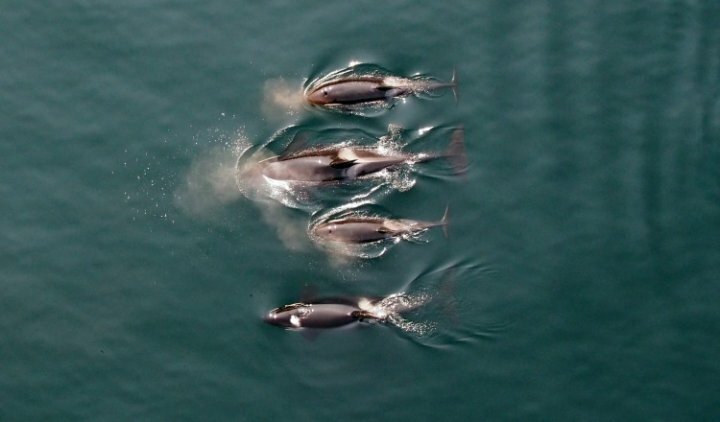 With video continuing to trend as the online media of choice for engagement, conservation and rescue organizations in our industry, like NOAA and Vancouver Aquarium, are taking advantage of drones for aerial footage for research; but what if it were more cinematic? The ability to produce Hollywood-style video content seems like a logical progression of camera drone technology. Time to get creative! 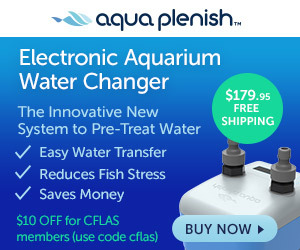 Additional details and pre-order information is available at hexoplus.com. There is a Facebook and Twitter feed you can follow to stay current with developments. The HEXO+ begins shipping Fall of 2015.